Encouraging students and researchers to use mainstream sociological thought to inform and deepen their knowledge and understanding of the many arenas of health and healthcare, this text discusses and critically reviews the work of several influential contemporary thinkers, including – Foucault, Bauman, Habermas, Luhmann, Bourdieu, Merleau-Ponty, Wallerstein, Archer, Deleuze, Guattari, and Castells. 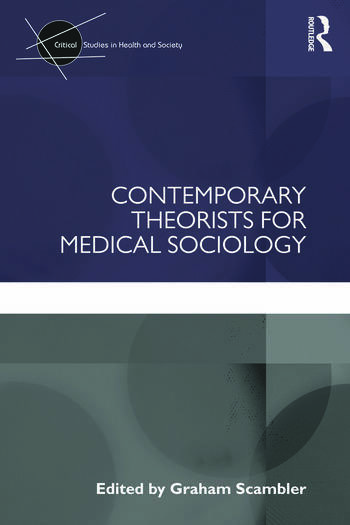 Each chapter includes a critical introduction to the central theses of a major social theorist, ways in which their ideas might inform medical sociology and some worked examples of how their ideas can be applied. Containing contributions from established scholars, rising stars and innovative practitioners, this book is a valuable read for those studying and researching the sociology of health and illness. Graham Scambler is Professor of Medical Sociology at University College London, UK.